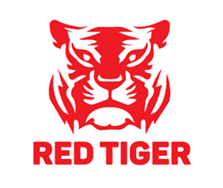 Red Tiger Gaming was founded as recently as 2014 but they’ve made good progress as they were formed by a group of industry veterans. With a proven track record of casino game development in both Europe and Asia, they live and breathe slots (according to them). They are comprised of psychologists, mathematicians, graphic designers, software developers, audio engineers, gambling experts, QAs, account managers and ‘secret magicians’ – this obviously shows in their slots. They do offer table and other casino games but slots if where their passion clearly is – all their games are high definition graphically with both 2D and 3D graphics. Another good thing is that all their games are available to play multi-platform – across desktop, mobile and tablet. With top performing math models and Asian and Western themes on offer, you will notice the quality of their offering. Red Tiger Gaming slots are not available at many online casinos with only Betsafe Casino and Paddy Power Games offering their games at present – I am sure they will change in the near future as they are a software provider to keep an eye on for sure.